Theatre Aquarius’ Irving Zucker Auditorium is a breathtaking proscenium theatre with spectacular sightlines from every part of the house has been newly renovated to provide additional accessible seating. 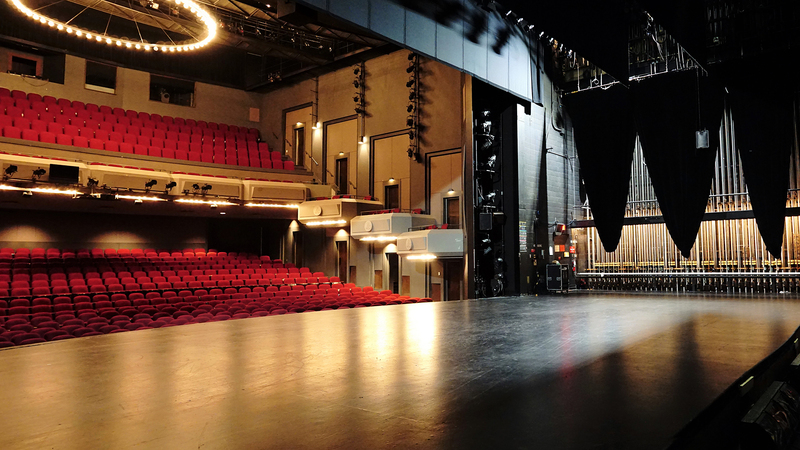 Equally capable of housing shows of tremendous size and complexity or intimate performances, every seat is your gateway to new worlds of the imagination. 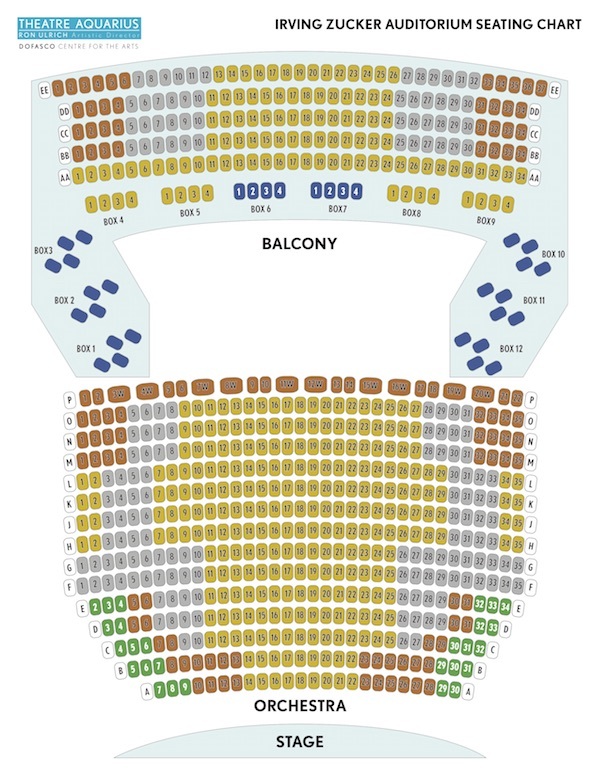 This map indicates the different seating levels available, for both subscriptions and single tickets. More information on subscription pricing and policies can be found on our subscriptions page. Single ticket pricing and availability will vary with demand. For more information on single ticket sales, please contact the box office at 905-522-7529.